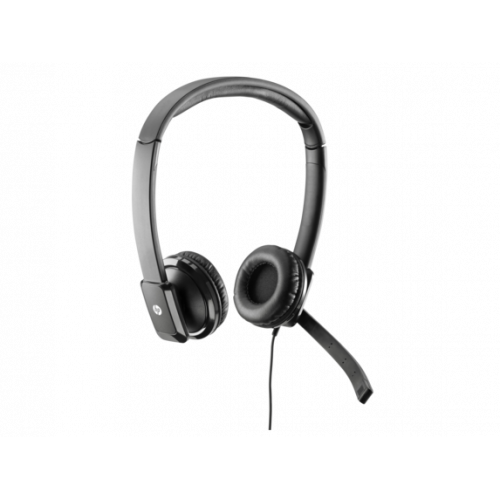 HP Business Digital Headset is compatible with the HP Compaq 4000 Pro SFF, HP Compaq 6000 Pro MT, HP Compaq 6000 Pro SFF, HP Compaq 6000 Pro AIO, HP Compaq 6005 Pro MT, HP Compaq 6005 Pro SFF, HP Compaq 6005 Pro USDT, HP Compaq 6200 Pro MT, HP Compaq 6200 Pro SFF, HP Compaq 8000 Elite SFF, HP Compaq 8000 Elite CMT, HP Compaq 8000 Elite USDT, HP Compaq 8000f Elite USDT, HP Compaq 8100 Elite SFF, HP Compaq 8100 Elite CMT, HP Compaq 8200 Elite SFF, HP Compaq 8200 Elite CMT, HP Compaq 8200 Elite USDT NOTE: Not all models are available in all regions. 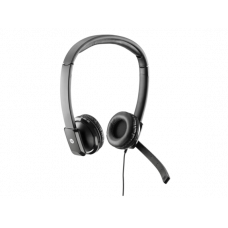 Comfortable and lightweight, the HP Business Digital Headset provides a headset that is perfect for call centers, telephone-intensive jobs, or casual use while working at your desk. The over-the-head flexible design includes light padding, full size leather ear phones and a mounted microphone boom.